Second issue of FEHRL Infrastructure Research Magazine (FIRM) focuses on last week's FIRM13 event and includes FEHRL's 2012 Annual Report insert. 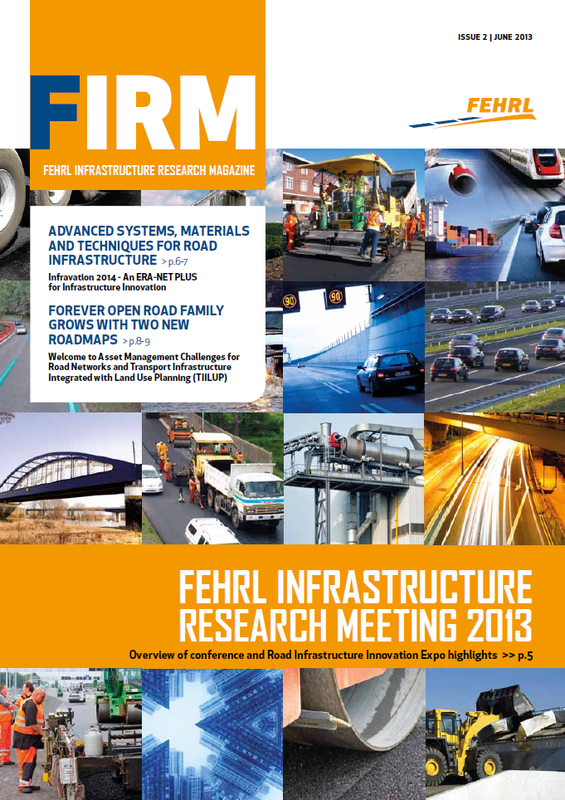 Click here or on the link below to take a look at the second issue of the FEHRL Infrastructure Research magazine (FIRM), which was distributed at last week's FEHRL Infrastructure Research Meeting 2013 (FIRM13) and is in the process of being distributed to FEHRL members and key transport infrastructure stakeholders. This second issue focuses on the highlights of FIRM13, and most of the programmes and projects covered also featured on the FIRM13 agenda. This includes the ERA-NET PLUS Infravation action, the five Forever Open Road roadmaps that are now available, the MIRIAM, MIRAVEC and TRIMM projects and the joint European Technology Platform (ETP) task force. This issue also has a particular focus on the projects within FEHRL's Mobility, Transport & Infrastructure (MTI) Research Area with profiles of the OPTIMISM (Optimising Passenger Transport System) and RAIDER (Realising Advanced Incident Detection on European Roads) projects. In addition, we feature the Design & Production Systems (DPS) POTHOLE project, as well as the two projects that cover all Research Areas (horizontal) and are focused on dissemination: EUTRAIN and TRA VISIONS. 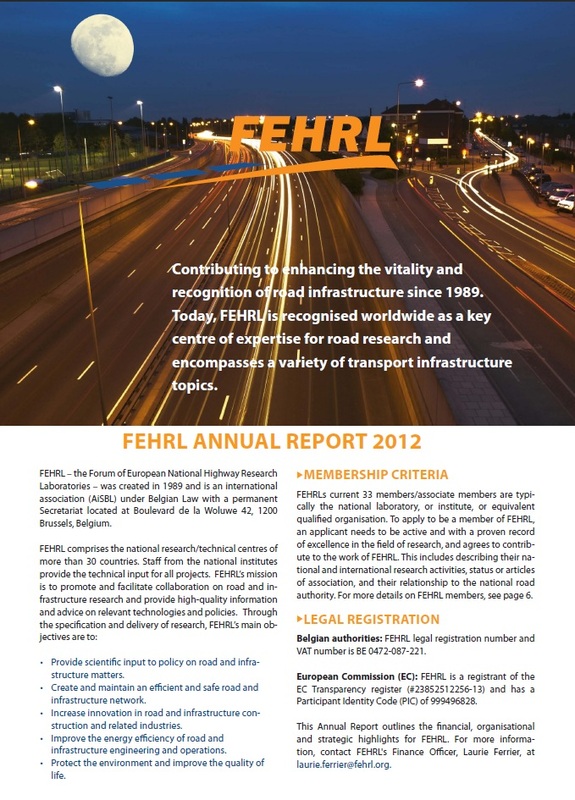 Finally, we have also taken the opportunity to include an Annual Report insert outlining FEHRL’s highlights for 2012. Click here or on the link below to download this eight-page document, which includes an overview and the FInancial, Organisational and Strategic Highlights, as well as the contact details for FEHRL's members, associates and groups.